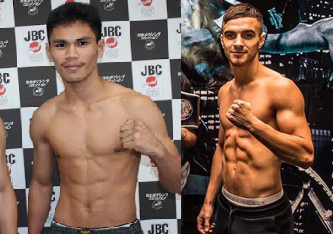 Filipino boxer Renoel Pael is set to face the undefeated Australian prospect Andrew Maloney on February 3, 2017, at Adelaide Oval, North Adelaide, South Australia, Australia. Renoel Pael is a 26 years old boxer from Matalom, Leyte, Philippines. He is the current Philippines Boxing Federation (PBF) super flyweight champion. He has a record consisting of 21 wins including 11 victories by way of KO and has only 4 defeats. Pael once fought for the WBC International Silver flyweight title in 2014 but loses to Noknoi Sitthiprasert of Thailand via Split Decision. On the other hand, Andrew Moloney is a 26 years old hard-hitting undefeated boxer with the record of 11W(7KO)-0L. Moloney is the current WBA Oceania bantamweight champion. He defeated 7 Filipino boxers including Jether Oliva Cris Alfante and Markquil Salvana via TKO. Moloney knocks out the Argentinian Carlos Ruben Dario Ruiz in the 4th round in his last fight.